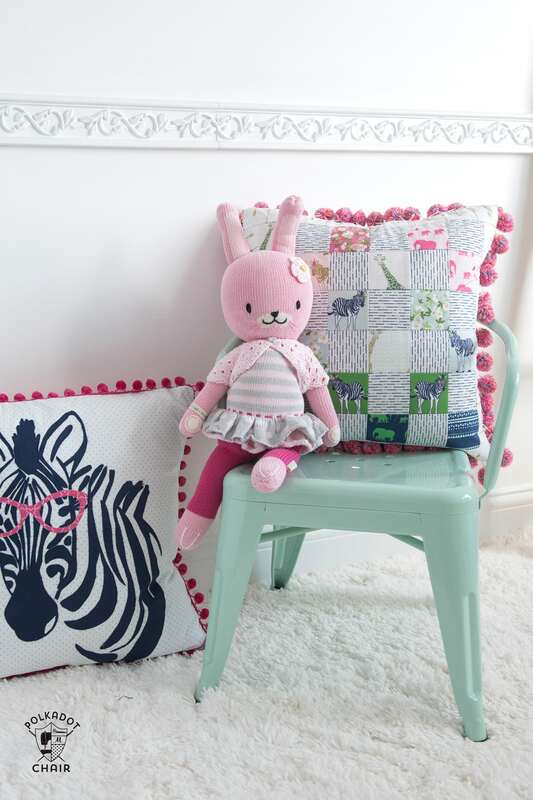 This patchwork pom pom pillow is simple to construct thanks to a fun shortcut. If you like this project, you may also like this Bow Tie Pillow Pattern. I love stitching up pillows. They are a fun “quick fix” project and a great way to try out a new technique. 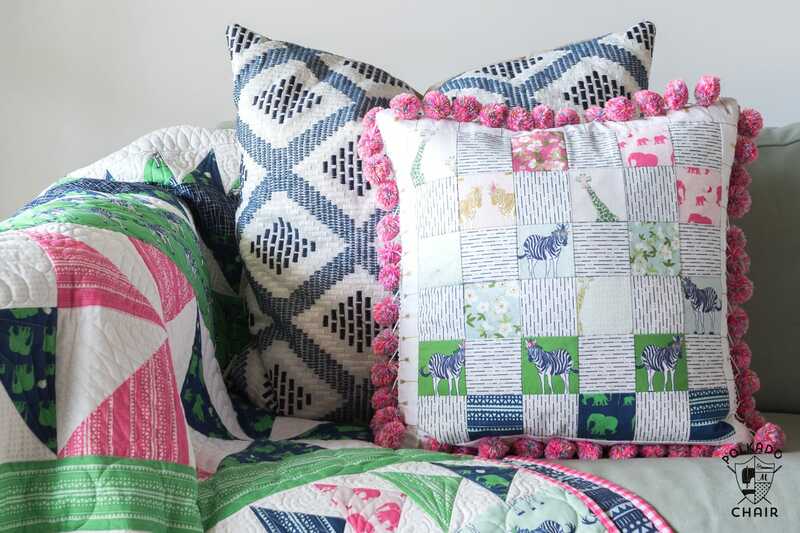 The pillow pattern in today’s post is made using gridded interfacing, which allows you to line up all of the squares in the patchwork quickly and accurately. I stitched up this pillow last Spring for my booth at Quilt Market. 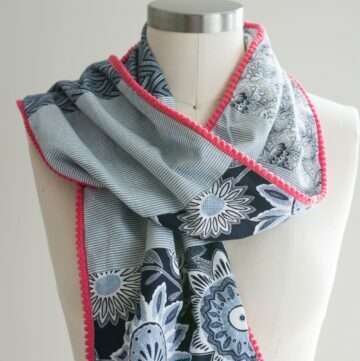 It features my Safari Party fabrics line. I was waiting for “just” the right time to share the tutorial with you guys. 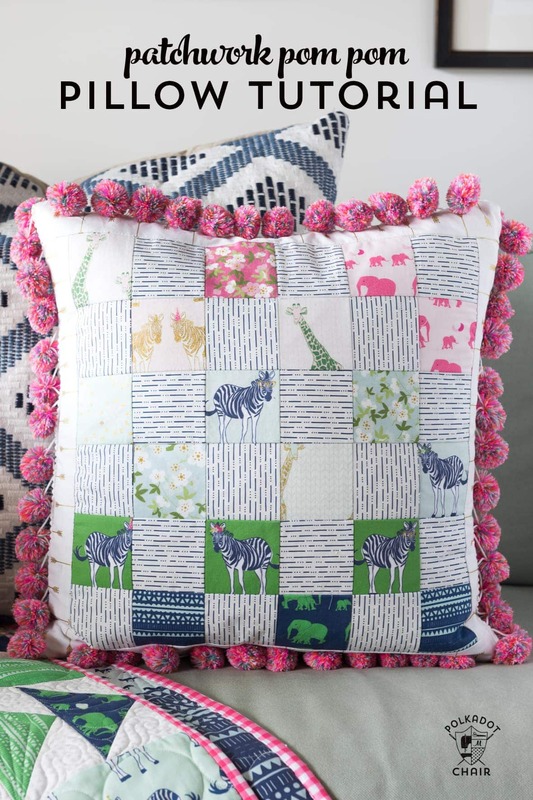 Now that our Seasonal Safari Quilt along is over, I thought it would be fun to share the tutorial. 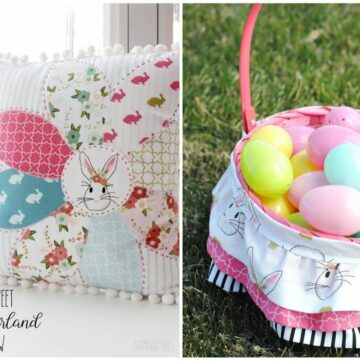 That way you can make a pillow to match your quilt! 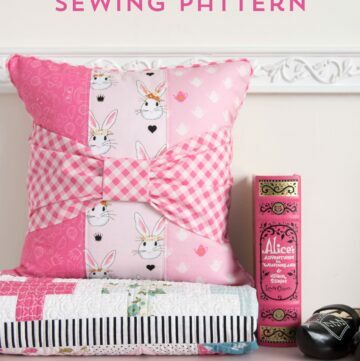 You can get the free pattern for the pillow over at BERNINA’s WeAllSew.com blog. I work as a Brand Ambassador for them and as a part of that get to create fun projects for their site several times a year. 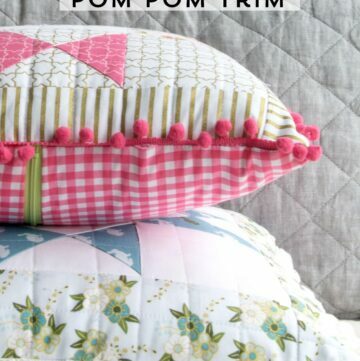 The pillow is just made up of simple squares, but to add a bit of “fun” I added some pom pom trim to the outside. I love pom pom and always want to add it to everything. The pillow I created has a sewn-on pillow back (meaning you stitch the pillow closed after you insert the form), however, I know that many of you guys like to create pillow covers that are removable. 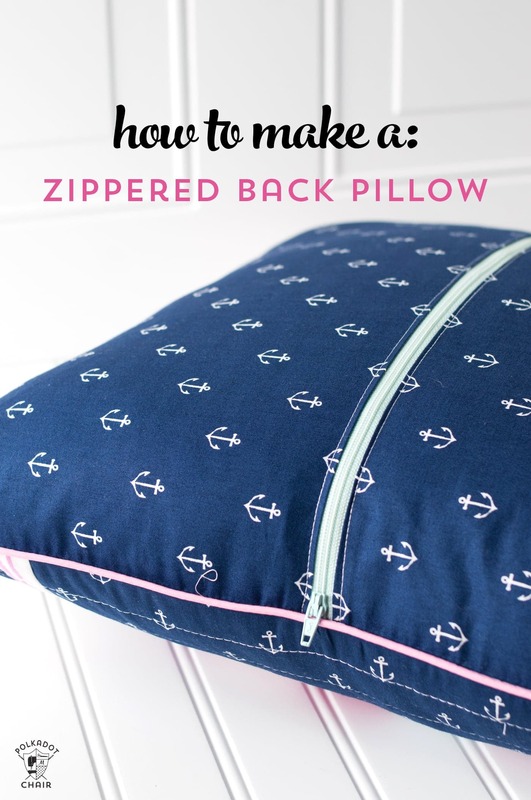 Earlier this year I typed up a tutorial that shows you how to add a zippered back to ANY size pillow. If you’d like to make the pillow removable by adding a zipper, you can find the tutorial HERE. To get the full free pillow pattern for the patchwork pom pom pillow just click over to WeAllSew.com by clicking HERE! I love the pillow and the pom pom trim. Can you tell me where it can be purchased at? This is a wonderful tutorial! Thanks for sharing!! Love, love, love the pom poms.